Cross-sector competencies are cross-sector, employability knowledge, skills, and dispositions. 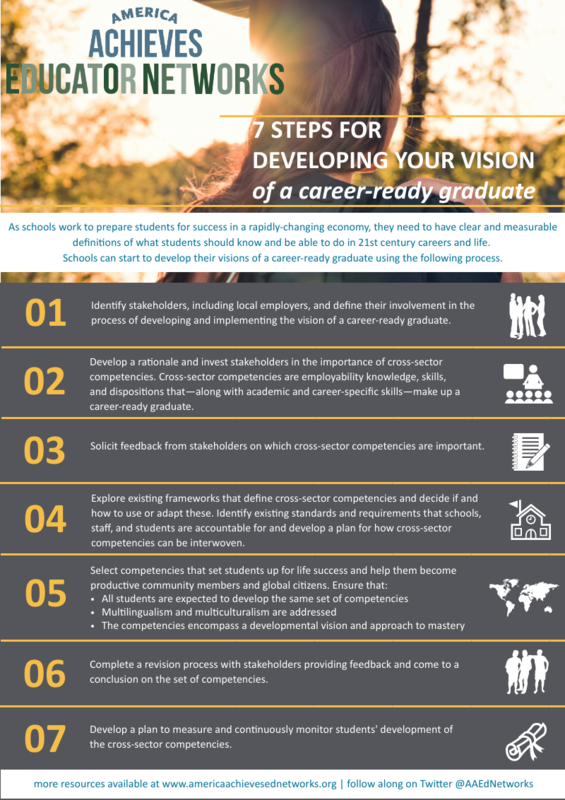 These are a set of competencies — along with academic and career-specific skills — that make up career readiness. While states, districts, and schools continue to voice a commitment to “college and career readiness,” they are increasingly critiqued for seeming to treat “career readiness” as an afterthought. They are now being called on to move beyond the rhetoric and improve on their career readiness efforts, and many educators are reacting in fast order. But are we doing so with any greater clarity about our expectations for what a career-ready graduate might look like?